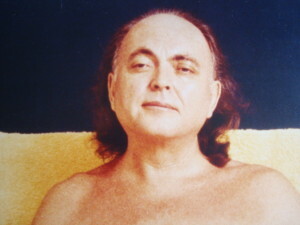 James, your website is a breath of fresh air, reminding me of the first contact we all had with Avatar Adi Da Samraj ! Thank you ! Hofer,Jordan has asked you several times to list Alex ‘s areas in his game in which he needs improvement. I’ll ask again because you never answer that question. And please don’t say Chemistry. How lovely it is to see the world, all 6 billion of us, represented by a handful of devotees in the picture above, with Beloved Adi Da standing there, in front of them; still, peaceful, sublime and majestic, representing the Divine in human form, actually Being the Divine in human form. How wonderful and joyous. Beloved, by being distracted by You alone, one is freed from the results of the self contraction, in fact from the very activity that produces these results that are the nonsense of human kind, separating ourselves from one another, due to separating ourselves from You, oh Lord. Intimacy, non separation is so apparent in contemplation of You. One need not go elsewhere. Why would one even consider seeking elsewhere when Your Divine Person is accessible at all times, in all places? In fact there is no where else to go to for the cure and remedy that the world seeks in the world of change. You are The Changless Occurence right here. Turning to You, Beloved , is the answer to my prayers and quite obviously the answer to the prayers and yearnings, heart seeking, of all and all. What a Master You are? What a miracle You are? What a blessing I have; so graced to have You right here, with me now as the Distraction that is beyond all and all. I long for my family and friends to recognize that You are their Great advantage too. I pray that You will show Your Self to them via me, using me as one of Your coins. Thank You Beloved. I hold up my hands in eternal gratitude. The way of devotion to the God man. Beloved Lord You are my only Sanity, You are my only Resort, You are my Only Happiness as all else fails, all else has failed, all else, all alternatives, all assumed cures and remedies have all but failed me. You are Beyond that nonsense, the nonsense of seeking for a remedy in this world. When I first came to You Beloved I was a mess, in dilemma at all times. Nothing satisfied me. Even my own sexuality wasn’t really certain. Dilemma, dilemma, dilemma. Always seeking a way out in this world of contradictions . Always seeking that worldly cure. You come along with essays and talks sipuch as the dreaded Gomboo and immediately I was rested, given peace of. mind, a stillness that I hadn’t really known for my life, previous to coming to You, Oh Lord, was simply suffering. You heard me crying out. You heard my pleas. I have always had a strong heart pull towards You, Oh Lord,. Even as a child I would gravitate towards You. You were often my only resort. But not until I had Your Wonderful Teaching, Your liberating Teaching, did I fully understand the ridiculousness of seeking, when THE CURE was standing right there in front of me, The Divine in Bodily Human Form. You stood there as IT, alone, majestic, Authoritatively.. my prayers had been answered. However Lord, like Peter in the bible I at times forget You, I remember my former dilemma from time to time. Something out there prompts me, cajoles me into reactivity once again., only to remind me once more that You are my True resort. In that resort I am rested for you are Home. With You is the Place that is heaven on earth. I look after and care for an elderly gentleman who loves to travel. I travel with Him with the full knowledge that Im able to locate You wherever I am physically. I find You here , there and everywhere. There is literally no where where You aren’t. Beloved it is only ones contraction from You that deceives one into thinking that You aren’t here. Or there. Beloved You are Prior to that nonsense, the results of the self- contraction. You are my Heaven on earth. When You found me, after crying out to Youand going through hell, You heard me and came and Stood before me as God. I recognised You , Oh Lord. I had been enlightened by This recognition. Your presence in my life transformed it. I remember saying to You, Oh Lord, that I had found Home. Miracles and mysterious happenings began to occur on a daily basis. From not being able to feel at ease with the world, with functioning, I soon began to feel rested. You gave me the means to be transformed. How? By simply redirecting my attention from off myself onto You. People around me, my friends noticed a difference in me, noticed how much more settled I was, The practise of feeling contemplation was my saving Grace. Thank You Beloved. I heard immediately. Why would I devote so much time to granting You my feeling attention if I hadn’t heard? And seeing is a gift that I have too. I see the foolishness of my doing and see clearly the means for my undoing. I see the suffering and unhappiness of the world, how the world is DOING separation from You, Beloved. Oh how I wish I could help them to see You, to recognise You, beyond their unhappiness and seeking for worldy cures. One day, when the time is right, I shall sit and advocate the practise of self forgetting You remembering to them. I wish to serve them Your wisdom teaching. One day. My relationship with You has always been spiritual. I need not change any condition to locate You, Beloved. You simply require my attention, now and in all nows, as I type I am with You, Beloved Lord. You are not the body once called Franklin Jones. No. You are the state, the Prior Condtion that I am too, that we all are. My confession to You Beloved is that We are One. There is NO separation, no division. We are all Already in relationship, nothing to divide us from one another. In fact there is no other. My only prayer is that You will continue to grace me, continue to bless me with these saving gifts of hearing and seeing, otherwise my destiny is doomed without them. My head bows down at Your Feet, Beloved Lord. Every day I talk and function with You. Each day we live together, each day I am blessed and grace to be Already Happy. Each day from my first remembrance of You, from my first glance of You, from my fist feeling of You, from That most intimate of spaces, the Space that is the Divine Place of Real God, I Awaken. You wash me. As I Awaken from my night time dreams, often ghastly ones, You Awaken me from the illusions of the self contracted State. As I contemplate You, Beloved, I occasionally have a troubled thought, which evaporates in continuous contemplation of You. You are the means of my Happiness. You won’t let me go. And I You, as without You my egoic destiny would be hell on earth. Because of Your love for me, because of the work You do with me, I just will not accept that You Instructed the London community to allow me to formalise our relationship. They say that their decision was based on Your Instruction, Lord. Their representative, Gavin, said that They considered Your Instruction to not allow me any formalised connection with Your community. Because of our most intimate of relationships, the miracles of my daily life with You, the intimacy that I have with my ‘worldly’ community, because of the Grace of Love that You bestow upon me, because of Your Attractiveness and thus Distraction, I just won’t accept that You wouldn’t want me to be a formal devotee again,; unless You really want me to do a worldly sadhana. You know of the service that we give to the people that are in my life. You shine through me, oh Lord. The love people have fir me is because they find You Attractive through me. Thank You Beloved. Peter, which was it ? You could or couldn’t , and they did didn’t ? That bit was a bit confusing. The rest -sublime.